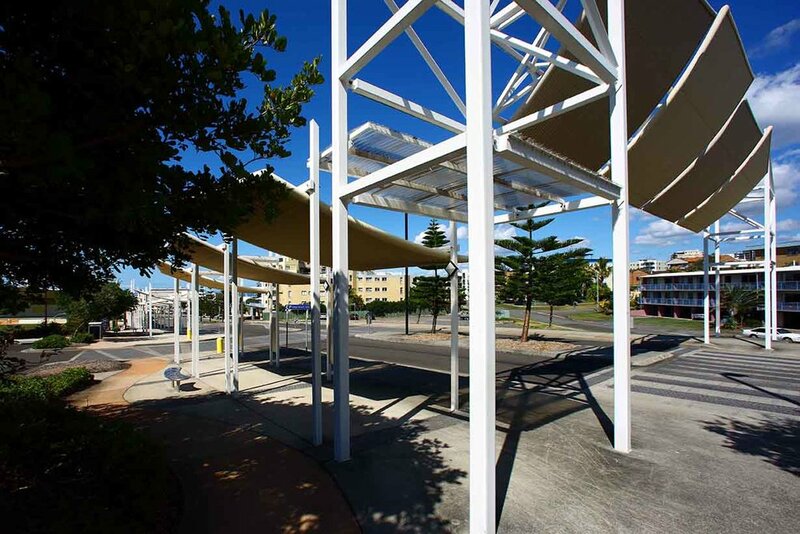 The Kings Beach Redevelopment balances Caloundra’s beach culture with an abundance of shade, shelter and colour offering residents and visitors a memorable and timeless beach experience. The redevelopment was part of a five-stage program converting the existing caravan park and car parking area into a ‘family beach’ destination with a parkland and new car parking. In the parkland area, a grassed amphitheatre fronts a double-stage structure with public toilets. Other features include a play fountain, playgrounds, fitness stations, picnic and barbeque shelters, foreshore promenade and a remodelled ocean swimming pool. A beachfront boardwalk with strategically placed shelters identifies beach access zones and provides beach-goers and walkers rest and observation points. 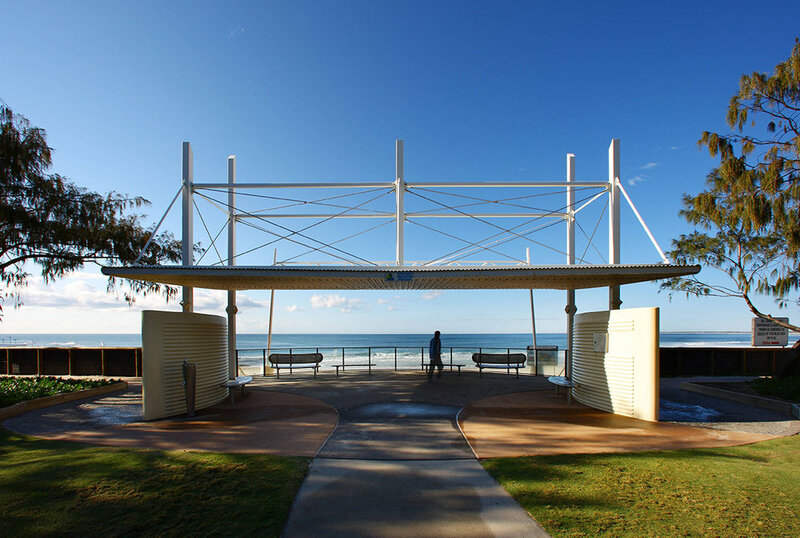 Guymer Bailey’s collaboration with the Beach Protection Authority and the Department of Natural Resources also resulted in two large shelters projecting out into the beach zone to provide shade and shelter over the beach itself, a design feature exclusive to Kings Beach.